While there are no CME requirements for physicians in Montana, your hospital may appreciate knowing we are accredited. E. Continuing Education Requirements: 24 contact hours of continuing education every two years due by the time of license renewal. 24.159.2101 STANDARDS FOR CONTINUING EDUCATION (1) Continuing education for nurses is formal training that: (a) provides new knowledge and skills to assist with advanced clinical decision making; (b) offers greater depth of knowledge and skills in a particular area of nursing role or practice; (c) enhances professional attitudes and behaviors; (d) advances career goals; (e) promotes professional development and currency in nursing practice; (f) supports innovation and creativity in nursing practice; (g) implements change within the individual’s nursing practice and within healthcare; or (h) addresses new and developing standards of nursing practice. (2) To qualify as contact hours, continuing education courses must be approved by an accrediting organization or provided by an academic institution of higher learning, a continuing education provider, or an APRN certifying body. 24.138.2104 REQUIREMENTS AND RESTRICTIONS (a) for dentists, 60 per three-year cycle. (3) Courses that are unacceptable for continuing education credit include, but are not necessarily limited to, the following: (e) basic life support/CPR. 24.138.403 MANDATORY CERTIFICATION (1) All licensed active status dentists, dental hygienists, and denturists shall possess a current cardiopulmonary resuscitation (CPR), advanced cardiac life support (ACLS), or pediatric advanced life support (PALS) card. 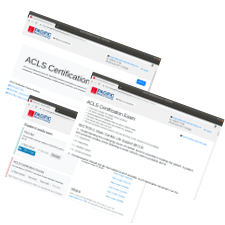 (4) Internet CPR, ACLS, or PALS courses will be accepted if a hands-on evaluation of clinical competency is also included. The Board requires 1.5 CEU (15 clock hours) with a minimum of 5 hours to be obtained in an approved group setting or 2.0 CEU (20 clock hours) if you do not take at least 5 hours in an approved group program. 37.112.129 BLOOD-BORNE PATHOGEN EXPOSURE CONTROL (1) An establishment operator employing at least one artist shall meet the applicable requirements of 29 CFR 1910.1030, which provides standards for blood-borne pathogen exposure control as promulgated by the U.S. Department of Labor, Occupational Safety and Health Administration. The department hereby adopts and incorporates by reference 29 CFR 1910.1030. Copies of 29 CFR 1910.1030 may be obtained by contacting the Montana Department of Public Health and Human Services, Public Health and Safety Division, Food and Consumer Safety Section, 1400 Broadway, P.O. Box 202951, Helena, MT 59620-2951. Total number of locations: 8. These locations CAN provide American Heart Association-branded provider cards if needed.